Washington Latin parents are invited to the fall Parent-Faculty Social on September 15 from 6:00 – 9:00 pm. The event, catered by parents, brings a warm and convivial atmosphere and a chance to relax and get to know other parents at the school as well as teachers and administrators who work here. 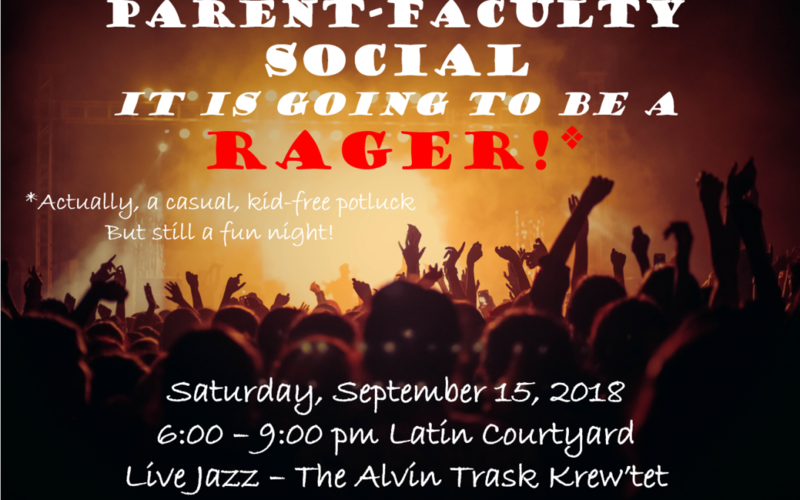 This year, enjoy the sounds of cool jazz, performed live by the Alvin Trask Krew’tet (led by a Latin parent). Sign up to bring something to the potluck, and join us rain or shine on Saturday!